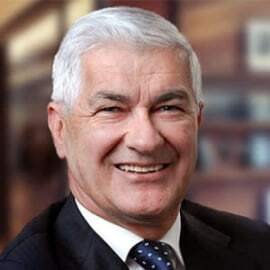 Ray Tanguay is former Chairman of Toyota Canada Inc. and an automotive executive who has been a special advisor to the governments of Canada and Ontario. Under his stewardship, Toyota Canada became the first Toyota manufacturing plant outside of Japan to produce Lexus vehicles, beginning in 2003. Ray has held a series of senior executive roles at Toyota and has been a champion of innovation in each one. Ray is on the advisory councils  of the University of Waterloo, Wilfred Laurier University and Conestoga College. He is also Chair of the Lawrence National Centre at the Ivey Business School at Western University. In 2017, Ray was recognized for his contribution to the auto industry and to Canada by being appointed to the Order of Canada. He has an honourary Doctor of Laws from Laurier University and an honourary Doctor of Engineering from the University of Waterloo.